Documentary film fans can see two screenings Monday evening in San Luis Obispo County. At 5:30 p.m., the Lucia Mar Unified School District will show the film Bullied at the Clark Center in Arroyo Grande. 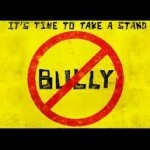 A panel discussion will follow in which students will share their experiences with bullying in middle and high school. The event is free of charge and is scheduled to last until 7 p.m.
Beginning at 7 p.m., the San Luis Obispo HotHouse will hold its first ever movie night at its new downtown location. The HotHouse, which became San Luis Obispo County’s first small business incubator when it opened in late February, will show the film We The Owners, a documentary about employee ownership of businesses. Executive producer of We The Owners and Cal Poly alum, Mary Ann Beyster, will attend the screening and meet movie goers. The HotHouse, which is located at 995 Morro Street in San Luis Obispo, will provide popcorn free of charge. The event will last until 9 p.m.